We have made some changes to evening youth groups for this season, aiming to make them even more successful. * Saturday sessions during September, allowing us to match the session timing to the tides. 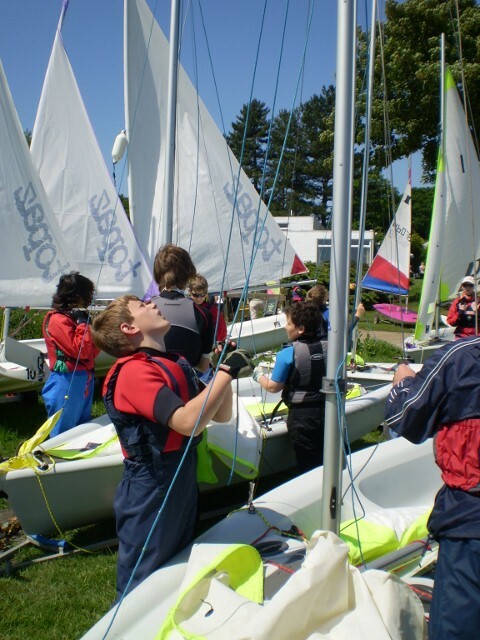 * Summer course sailors can join us for the September sessions to gain more experience. * Assistant Instructor training, attending one of the evening groups. *Our advanced group includes those who are working towards qualifying as dinghy instructors. Our groups begin with children who are 10 years old and above. If you have previously sailed you may be able to join a more advanced group, though we do try to keep those of similar ages together. 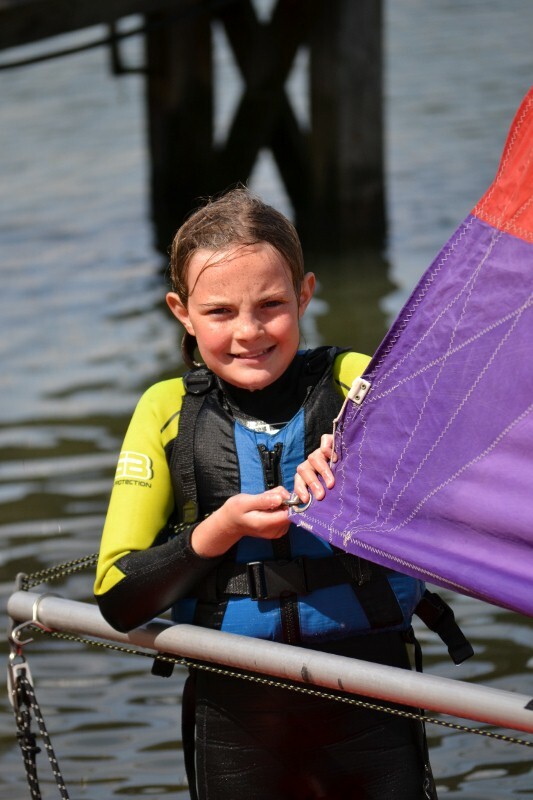 Do contact Simon, our new membership secretary (youthgroup@neptunesailing.org.uk) soon to request a place for your son or daughter. Many thanks to Charles Broadway for producing this superb video. Our classes are small and have very good instructor:student ratios, helping young people to learn steadily. Why not give us a try? Details of our progamme will be released at the end of January 2019. Now that the season has come to an end we can look back on all of the groups and individuals who have joined us for some brilliant sailing. We welcomed back our usual group of local schools, but added in some new ones too. Several of these have asked to come back next year and we will be approaching some new schools over the winter. Our summer junior courses were more popular than ever, with all courses running with increased numbers taking part. Most importantly, the superb weather made the season such a pleasure, though sometimes it was just a little too hot!! It's always been very important that Neptune Sailing reaches out to all of our local schools. This year, as well as working with our regular school groups, we have been pleased to organise events for Chelomdiston, East Bergholt and Bramford Primary Schools as well as for Woodbridge School. We will be approaching other local schools very soon. As previously, Mid-Suffolk Scouts continue to support us, as well as groups from as far away as Coventry. This year we have been aided by support from Area of Outstanding Beauty (AONB) helping us to get some new small buoyancy aids. Neptune is dependent on a small team of qualified staff, ably supported by a wide range of volunteers, who take on many different tasks, such as serving on the management team, organising and running courses, helping with maintenance, or just helping out on the water. 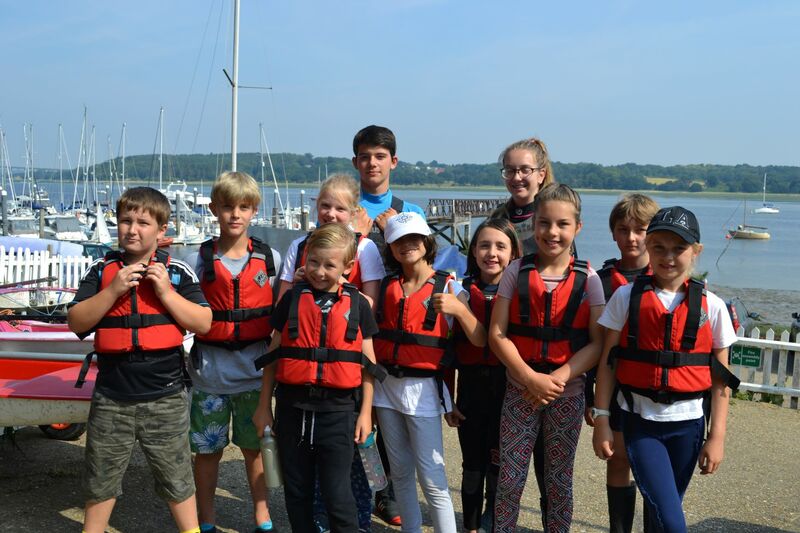 Each sailing group is organised by an RYA Senior Instructor, with lots of support from other Instructors, and we are particularly keen to hear from Dinghy Instructors, especially Senior Instructors who are keen to help us. For those helping on the water, we will aim to develop your skills by providing training opportunities. If you are interested in joining our team, and we hope that you will be, please do get in touch (secretary@neptunesailing.org.uk). We have activities running on most afternoons and evenings, and would be very pleased to hear from you. Neptune Sailing is based on the River Orwell at Woolverstone, near Ipswich. We have a large number of craft, of different types and provide a range of Dinghy Sailing and Powerboat training and assessment. During the season the centre is available to both young people and adults. We aim to provide high quality tuition, based on the RYA National schemes. Neptune Sailing has been working independently, delivering quality water sports experiences, for the last six seasons. We have charitable status and are registered as a company limited by guarantee. Our Youth Groups run on Tuesday, Wednesday and Thursday evenings for Beginners, Improvers and Advanced skills and are open to all young people. They are very popular, so making an early approach regarding joining one of the groups is advisable. Adult training courses are run mainly during weekends and cover the RYA Sailing Schemes to Level 3 and RYA Powerboat Level 1 and 2, as well as Safety Boat. We are happy to offer courses to groups and individuals at other times. During the school holiday periods week-long courses are available for young people and these are very popular. The courses offer training from beginner Stage 1 to advanced skills Stage 4. Our First Aid courses still have a few spaces still remaining. If you are aiming to do become a Dinghy Instructor, or your qualification is about to go out of date, do get in touch very soon. Course details are available and you can reserve your place now, or let us now you may be interested. Do log in to Facebook for an up to the minute idea of what's been going on. Do add your own comments and don't forget to 'like' us! If you are interested in helping us, please consider joining one of our occasional work parties. We always need help, and the last session of the season was very well attended, resulting in the major tasks being completed rapidly.